Created by Dr John Ott. and the Duro-Test Lighting Corp. in the early 1960's, Vita-Lite became known and patented as the Worlds first natural Full-Spectrum light bulb! This fluorescent light bulb became the standard for which all other so called "Full-Spectrum" bulbs would be compared with. 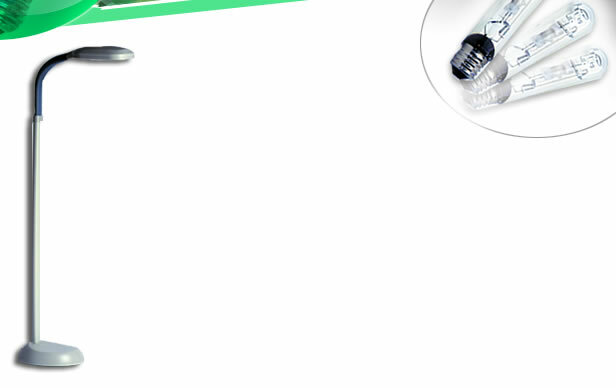 Food Service Facilities, and more!. 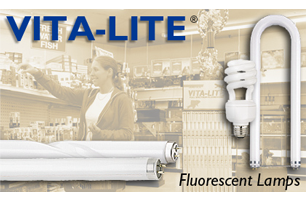 Vita-Lite is simply the most natural indoor fluorescent light which duplicates natural outdoor light most closely! By simulating the full visible and ultraviolet spectrum of natural outdoor light, Vita Lite promotes the growth of animals, plants, birds, reptiles and fish. It provides light just like nature's--the light that all life on our planet evolved under. Vita-Lite is the next best thing to sunlight!